We were invited to attend an apple team away day to a succulent terrarium workshop. We took everything needed, including 180 little succulents to a fantastic venue, The Victoria Loft at Lumiere London. What terrarium did they make? 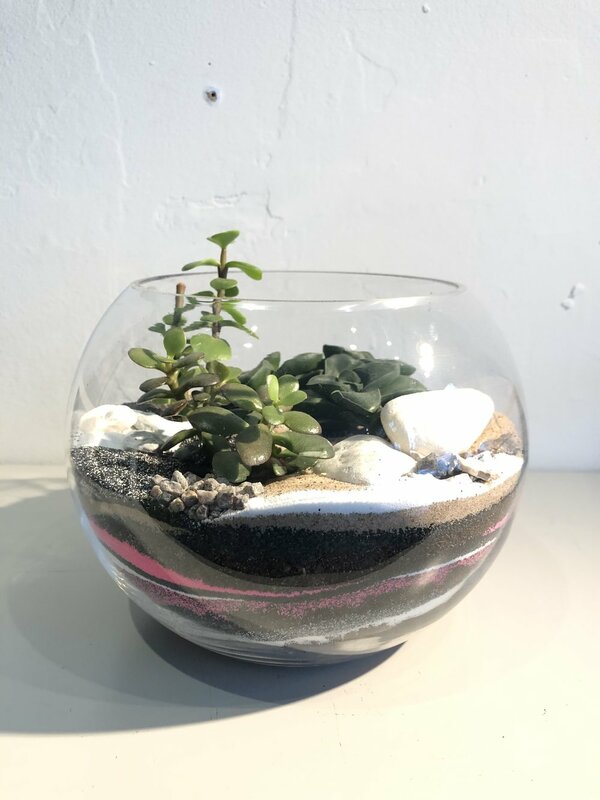 Looking for a company wide or team terrarium workshop? Let us know and we can put together a package for you. London plant installation - Science Beaker Terrariums.